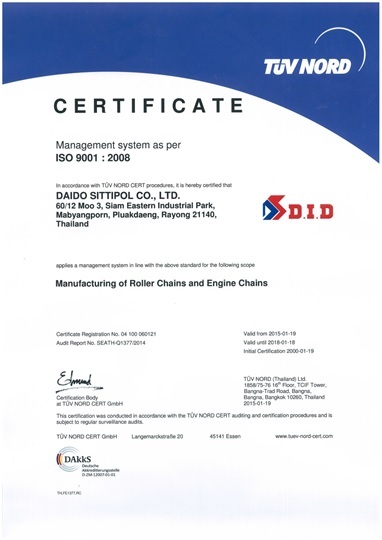 Profile | Daido Sittipol Co., Ltd.
Company Name: Daido Sittipol Co., Ltd.
Daido Kogyo Co.,Ltd (Japan) and The Sittipol 1919 Co.,Ltd. 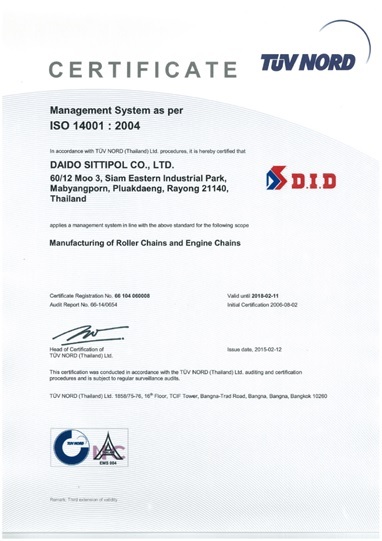 using for automotive industry with the trademark D.I.D. 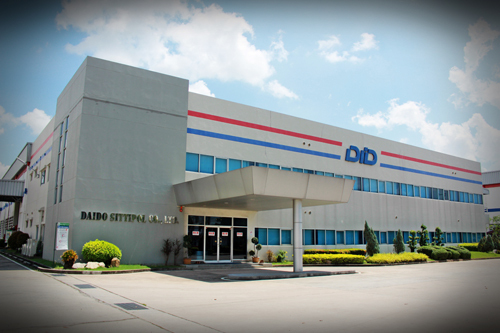 The manufacturing factory was located in Siam Eastern Industrial Park in Rayong. about the quality of the product and ISO 14001:2004 which is about the environment. and meet market demand, because “D.I.D” is the world’s no 1 motorcycle chain.